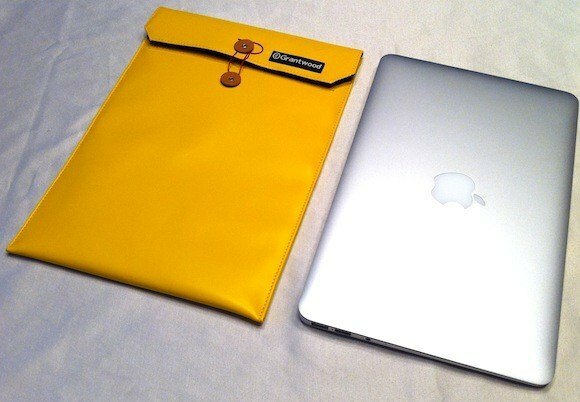 Is this the coolest MacBook Air sleeve on the market? 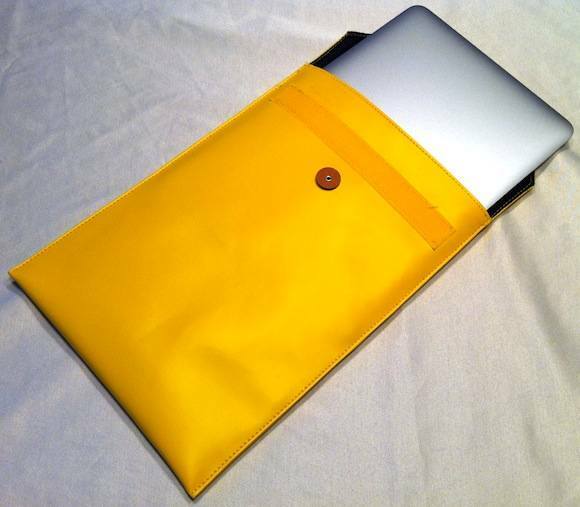 Dubbed the Macvelope, this case is made to look like a traditional yellow office envelope, but they’re specifically made to snuggly fit the new MacBook Air series. This is about as discrete as a laptop case can get, and the inside is lightly padded with a soft liner to protect your precious cargo from scuffs. This might not provide the best protection for the Air from drops or shock, but if you want an unassuming sleeve to at least protect the new Air from scratches this is pretty awesome looking. I came across this on TUAW (pictures from there too) when looking for the original MacBook Air introduction video, which you may recall was Steve Jobs pulling the first generation Air out of a manila envelope. Anyway, TUAW seems pretty happy with it and all the reviews on Amazon are great… I really want one of these but unfortunately they don’t fit the MacBook Pro 13″ so I’ll just have to wait. We are introducing our next genertion TAC-1 case line with a model specific for the MacBook Air. On this model we trim the carbon fiber sides after it is molded to make the Air case very thin (but a hard shell). We then bond in an advanced water resistant zipper and line it with a shock absorbing water proof EVA material. Another feature is our advanced TAC-1 logo is embossed right into the carbon fiber. very cool looking. Cheers! I’ve visit your site to take a look at the TAC-1 case. I think it might look better if there is Apple’s logo engraved at the top. Many people don’t want to hide their mac’s from other people, they like to show off brand new laptop. I agree with you, the Apple logo would look cool embossed in the carbon fiber. But it is not quite legal to use someone else’s logo on a product.